Marlene is a single 42 year old woman who resides in public housing in southern Indiana. She has a history of substance abuse but has been free of its’ effects for four years. She also has a blood clotting disorder that caused a major abdominal bleed, requiring her to present to her local emergency room for pain related symptoms. Her history of substance abuse resulted in ER personnel turning her away from the department after she was labeled as drug seeking. Moreover, the abdominal bleed resulted in blood clots that formed in her legs, with amputation of both lower limbs the result. After Marlene’s amputations, she was discharged to her home with a 7 day prescription for opiates which her insurer, Humana, refused to authorize because opiates are no longer covered on her dual Medicare, Medicaid policy. The recommended substitutions were contraindicated for her rare blood clotting disorder. Marlene was able to borrow $400.00 from her family members to obtain 7 days of minimum relief. Her next appointment is on September 26 where she will be evaluated for possible changes to the medication that controls her blood clotting factors. David, 38, is a young father of four, a five year survivor of the fungal meningitis outbreak. He still suffers from the effects of his exposure to contaminated epidural injections with headaches, vision disturbances, tinnitus, adhesive arachnoiditis and fibromyalgia. The state that he lives in, West Virginia, has battled opiate addiction aggressively causing most physicians to drop patients who require complex coordinated health supports. His neurosurgeon recommended and installed a pain pump which resulted in 3 unsuccessful surgeries for pump repositioning and a blood patch. The CSF leak remains. The daily morphine equivalent dose has been reduced to 40 MME, insufficient to reduce his pain levels. David is denied oral medications for breakthrough pain support. He spends 20 of 24 hours per day in a reclining position in a dark room. Parenting is difficult. Suicidal ideation is real. We have managed to get a follow up appointment for him at Cleveland Clinic, a travel distance of 8 hours from his home on the WVA/OH border. Because he lacks a primary care physician to coordinate his care, he must rely on this university hospital system 350 miles away. As we advance into the month of September, I am taking a closer look at the systems issues that surround current pain policy across the United States. While laws and regulations are rapidly being adopted, the health care systems they are supposed to regulate are reducing, reorganizing, and even closing. We now have the opportunity to speak about the influence of reduced care access and lack of primary care at the level of the local community. 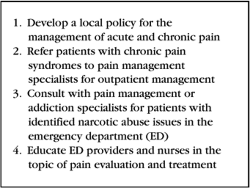 What is the influence of a lack of care coordination on the total management of your pain management program? Let’s look at both Marlene and David. Marlene and David were both abandoned by their primary care providers as ‘too complex’ once the opioid prescribing laws changed in their respective states. David was abandoned by his pain management physician once the legal proceedings against clinics was terminated. This injects a very important problem into the issue of what happens when you lose care coordination access. In both cases, it forces these individuals to present to the emergency room for identification and diagnosis. The emergency room is forced to make a quick assessment with few records or history. As often as note, the records they generate may be wrong because there is no consistent testing of the information provided by patients under duress. Communication between health care entities has real potential to fail, further magnifying the problem of identification and diagnosis. Many chronic pain patients who present to the ER are in a pain crisis which may be an exacerbation of existing problems or related to a wholly new problem that is not understood. 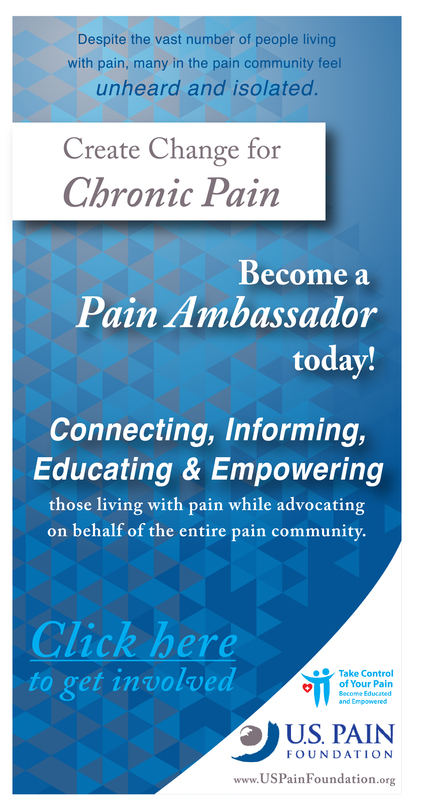 Within the last year, we have seen recommendations that pain be dropped as a fifth vital sign. If pain is to be ignored does that mean investigation ceases in the ER? Is treating pain indicative of disease or an attempt to please the patient? Some systems have gone so far as to give instructions to ignore complaints of pain as not essential to the treatment process. 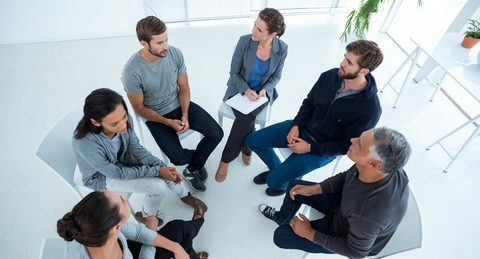 Unfortunately, in this environment, presentation to the ER places them at an immediate disadvantage because care staff cannot immediately discern the real crisis of care from the person who presents to score some pills to support addiction. Presenting to the ER these days, and announcing that pain is your presenting issue, can cause an immediate derailment of the conversation unless personnel know you and your history. If you are lucky, your hospital may have a subclinical unit for the underinsured or unrepresented patient who lacks a PCP. In many cases, this subclinical unit is not available. The ER – Not the best place for Identification and Diagnosis. Marlene was flagged immediately for her history of substance abuse even though it was not a current problem. Because she presented from the local mental health center it was assumed that her presenting pain levels were of less import than the fact that she had just been screened for suicidal ideation and substance use, both of which were negative. This resulted in labeling her pain a possible attempt to score some pills to act out a suicide. It delayed and derailed the detection process even though she told them she had a known clotting factor problem and even though she had this in her hospital records from the first amputation. Hospital personnel gave her an injection of Haldol which quieted her complaints of pain and put her to sleep even as the ticking time bomb in her abdomen accumulated momentum. David on the other hand, lacking a primary care physician, presents with severe headache, photophobia, and elevated unmanageable pain levels which are beyond his control. He is vomiting from pain, he has a low-grade fever, and his blood pressure is high. He reports his pharmacological history of high dose opiates, Adderall for adult ADHD, and makes personnel aware of his recent pump installation. He is told immediately that he will receive neither a prescription for opiates nor Adderall even though he has requested neither. His symptoms – headache, photophobia are assumed to be related to his elevated blood pressure. His history of fungal meningitis is ignored. 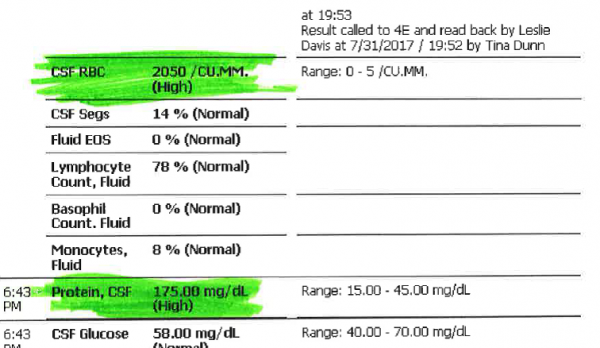 They give him a shot of dilaudid, a urine tox screen and as his blood pressure reduces he is sent home and told to call his primary care physician (or neurosurgeon) to follow up. Theoretically the treatment plan is based on a though evaluation of body systems, social and functional history and some attempt to determine impact of the complaints on activities of daily living. In the PCP’s clinic we would look for this. In both Marlene’s and David’s case, this was cursory, enough to provide emergency care. Having no PCP to hand off to, both ERs act as a ‘dead letter box’ for collected and valuable information. Both consumers are left to coordinate their follow-up care with no more than a piece of paper and follow-up instructions. There is no communication or clinical process to reach out to the community to set appoints, transfer records, or assist these two individuals with the next steps. CSF leak and someone to look at his infectious markers post installation of his pain pump (see below). At the urging of a family member, Marlene finds her way to a hematologist three days after her ER discharge. Upon hearing her recent history works her right in. He orders the information from the hospital and immediately admits her to intensive care based on the CT that has been improperly reviewed at the ER. Her bruise is in fact a large fluid loss into her abdomen. She is sedated, assessed, and a determination is made that her remaining leg must be removed. Had the hematoma been detected 3 days earlier, her leg could have been retained. David’s neuro chooses to deal with nothing but the pain pump installation and expresses hope that the CSF leak will close on its own. Because it has failed to perform properly over 3 surgeries, David places his faith in the university medical center 350 miles distant and hopes for a comprehensive evaluation of his infectious disease status, his pain levels, a course of action for the CSF leak. Evaluation of the Patient. A medical history and physical examination must be obtained, evaluated, and documented in the medical record. The medical record should document the nature and intensity of the pain, current and past treatments for pain, underlying or coexisting diseases or conditions, the effect of the pain on physical and psychological function, and history of substance abuse. The medical record also should document the presence of one or more recognized medical indications for the use of a controlled substance. Marlene was quieted from her complaints of pain by injection of Haldol, even as her attending personnel misread the CT scan. Her pain was labeled as an attempt to score drugs for a potential suicide. David’s pain was largely ignored in favor of reducing his blood pressure. Nobody addressed the CSF leak or the lab findings generated by the visit. Treatment Plan. The written treatment plan should state objectives that will be used to determine treatment success, such as pain relief and improved physical and psychosocial function, and should indicate if any further diagnostic evaluations or other treatments are planned. After treatment begins, the physician should adjust drug therapy to the individual medical needs of each patient. Other treatment modalities or a rehabilitation program may be necessary depending on the etiology of the pain and the extent to which the pain is associated with physical and psychosocial impairment. In neither case was a treatment plan issued. Informed Consent and Agreement for Treatment. The physician should discuss the risks and benefits of the use of controlled substances with the patient, persons designated by the patient or with the patient’s surrogate or guardian if the patient is without medical decision-making capacity. The patient should receive prescriptions from one physician and one pharmacy whenever possible. If the patient is at high risk for medication abuse or has a history of substance abuse, the physician should consider the use of a written agreement between physician and patient outlining patient responsibilities, including o urine/serum medication levels screening when requested; number and frequency of all prescription refills; and reasons for which drug therapy may be discontinued (e.g., violation of agreement). In neither of these cases was enough information collected to construct a treatment plan. In neither case was a proper handoff constructed back to the community. In both cases these individuals left their ER no better than they entered, and in fact perhaps worse. In both cases, their complaints of acute pain were dismissed leading to errors. In both cases these errors had major consequences that will become the topic of our next conversation. What happens when you don’t have care coordination? As we will learn, they will continue to have very different experiences. 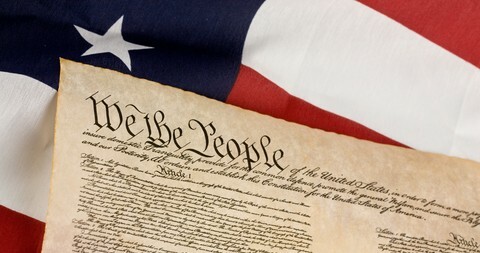 Have “We the People” Lost Our Voice? All these comments are heartbreaking and it has come up to a year since the CDC took over our lives with the insane opiate restrictions. Keep sending your Local and state Representatives your stories and ask them what they can do for you. No one has answered me, so no vote for them, but keep spreading the word, we are the only ones that have been treated unfairly by this. The heroin addicts are having their butts powdered and diapered right now, if you ask me. The second anniversary of father’s death from suicide is less then 3 weeks away. I personally have fought off suicide fir the last 8 months.Both of us sufferers of Adhesive arachnoiditis. How sad and completely hopeless we are left to feel that things are getting worse and have not one positive little glimmer of hope that someone ,somewhere ,may give a F. K . Before we see and suffer from not only pain the loss if more loved ones who cannot and should not have to suffer from horrific pain. Many of us victims of an incurable disease the very PHYSICAN now not willing to treat us CAUSED. When will someone famous enough or powerful enough speak out against the AMA AND MAKE THEM ANSWER TO THIS TRAVISTIE.?? ? HOW MANY SUICIDES are going to get labeled as opiate overdose instead of assisted suicide do do inadequate medical aftercare do to disease caused from epidural steroid injection or mylegram dye leak. When is a pharmacudical company going to be at the brink of bankruptcy and stand up to the DEA and educate them on how to determine people with REAL PAIN BY A SIMPLE HORMONE TEST THAT CAN DETERMINE THE TRUE LEVEL OF PAIN ONE HAS.? This is not rocket science people.Dr Forrest Tennant can simply explain the blood test that can be done and how and what it can show to assist drs in assessment of pain levels. We can only hope if there is no hope for us to be able to get the medication we need that every state in the USA WILL ADOPT THE ASSISTED SUICIDE LAW SO WE MAY DIE WITH DIGINITY . Doctors are now ” short arms of the law ” . No matter their level of caring or expertise they all fear for their jobs. Sure the rules say Dr’s get the final say, but most all of them work for ” the company “. My 40 minute visit is spent answering the same questions – Pill count and a repeat of the questions by the PA.
It’s all about the paperwork & documentation to support the opiates I do get. I asked to see my file for that last visit and it was at least 5 pages long and that didn’t include the States medication report – added to my file every month. It’s clear to me that my PM Dr wants mainly – Pain Pump refills and Injections for all her patients, My presence is mainly a problem for her because all of my test results for the last 20 years show a plethora of Spinal abnormalities and all of them cause severe pain and debilitating weakness. I’m looking for another Dr before this one ruins me. I live in California and this is just another state where chronic extreme or otherwise pain is not treated properly because our doctors are so afraid of losing their license. Good Ole government has its nose where it doesn’t belong. 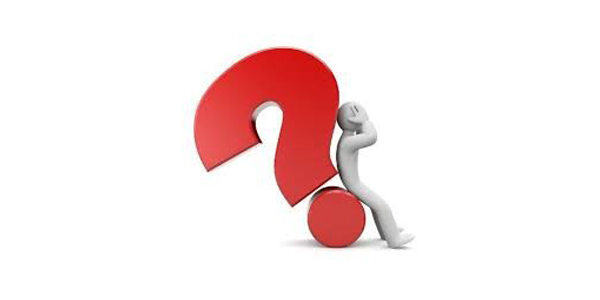 When a senator or congressman receives a specific MD in pain management then and only then should that person be allowed to have a say in pain management policy. I wish that every government official had RSD/CRPS. I guarantee they would get their pain taken seriously and they would most definitely get whatever pain medication they needed! I have moved to another state, decreased my pain medication and found my pain level so high that suicide seems to be a viable option. I have had RSD for over 20 years. I am worn out…………. Sadly, the patients have lost the doctors that actually care enough about them to actually do the work needed to properly care for them. GOD HELP US ALL! I FEAR FOR THEIR LIVES AS WELL AS ALL OF US (CHRONIC PAIN PATIENTS)! Well, I just read much of the policy for NC. I thought I was a fairly “engaged” person in this opiod, pain, doctor, distorted numbers thing. Boy was I wrong. After reading what I did from the link you provided about my state, I’m left shaking my head. I had no idea that my state developed it’s regulations based on ONE unnamed random study and the CDC. I am stunned at how deeply these Boards and the State and Federal government are in our lives, right down to the people we associate with and relatives they demand be documented. The hell with HIPPA in my state. They want ALL the information about us, demanded via our doctors! You can’t turn your head the right way without this Board ordering our doctors to document it and factor IT IN to our Pain Management. And the real kicker is, if YOUR medication is working well enough for you, if you SAY ANYTHING ABOUT IT to your doctor they are required to TAKE YOU OFF OF It, and get This- because it’s not working! What in the Sam hell is going on here, what on earth. They tell our doctors to “look out ” for the patient that compliments them, that’s a DIVERSION TACTIC. When on earth did we become this way as a society? That we treat humans this way our governments are swayed along with the people to, well, just forget that human beings different from the way YOU think are real people just the same. In my state, if you’re a person who suffers debilitating pain, God help us. I just read all that and learned how to be a good little soldier and follow the strict rules, keep my mouth closed, and be home in my painful body and life and pray they don’t take away my little opiod pain “lessen” pills until I can move out of this body into, I pray, heaven. Because I hurt so bad that I’m more terrified than ever that they’ll take my medicine away.